Creator God, thank you that you made a wonderful world! Wow. Help us to look after it. This was the prayer that we sent our families home with – along with the date of the next Messy Church in Falmouth (8th September). We had been talking and thinking about God’s wonderful creations (the world, us) and our responsibility to look after all of it. We met on Gylly beach on a beautiful warm sunny morning (as usual!?) and started with breakfast. We had bacon and sausage in a roll and hot or cold drinks. Absolutely delicious, all freshly cooked in front of us, followed by a slice of watermelon. 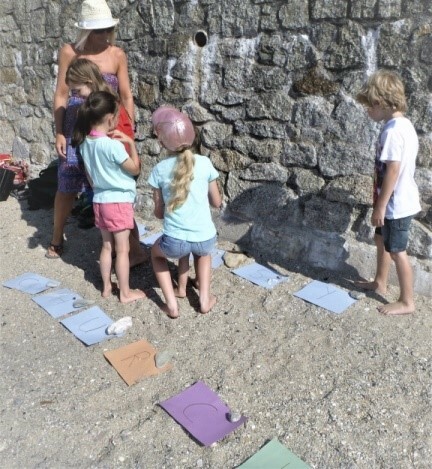 We also built Sand Sculptures on the damp sand near the sea and the families produced many wonderful creations. These included castles, mermaids, a fish, two dragons, a tunnel and a boat. I am sorry if I have forgotten any. 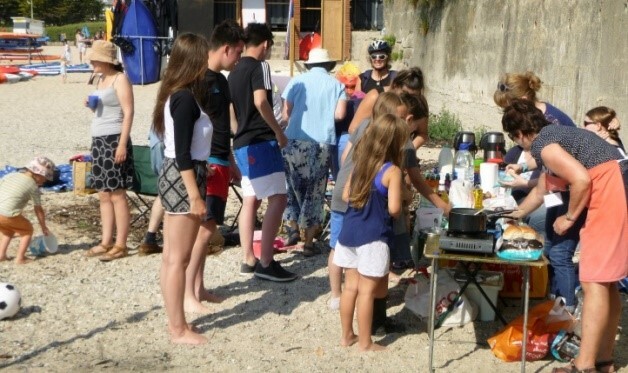 With nearly 30 children there was also a lot of playing, just enjoying the sea and the beach, which continued after we had concluded Messy Church with a short singing of ‘All things bright and beautiful’. 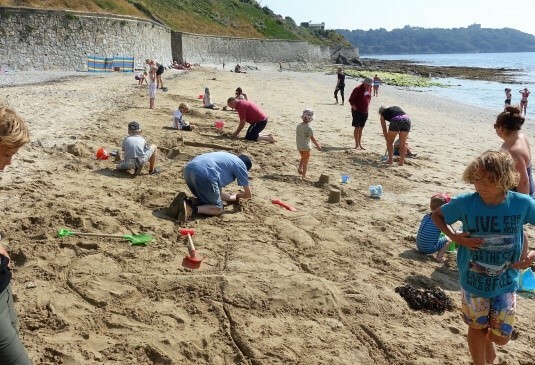 Thank you to everyone who came along to help and join in – we all had a brilliant time. 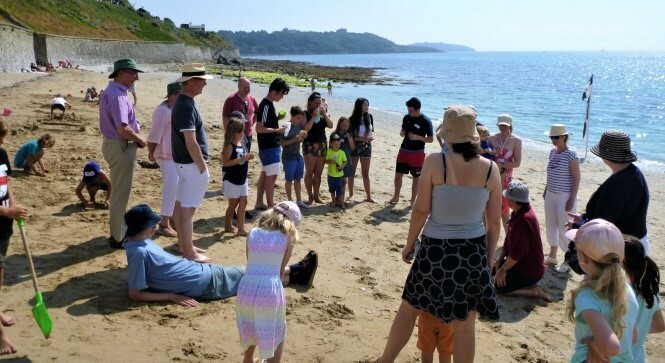 There will be no Messy Church in August, so on Sept 8th we will be back in All Saints Church, Killigrew Street, Falmouth, starting with breakfast at 9.30. We hope to see you there.